More and more institutions are offering experiential learning opportunities, in which faculty and students work together to formalize programs and projects. The goal: to ensure in-depth learning that adds value to university life. Never mind the nomenclature. Whether they are called living labs, learning communities, experiential learning opportunities, or something else—giving students real-world projects to tackle can yield important lessons in how to lead, interact with, and learn from one’s peers. And, because of their complex physical infrastructure and systems, campuses offer ready-made opportunities for joining the academic and operational spheres of an institution to boost student interest, understanding, and success. Sustainability-related living labs may be especially well-suited for involving students in hands-on learning. For instance, more campuses are implementing “eco-house” initiatives where students experiment with green lifestyles and techniques that reduce energy and water consumption. Or, they might work in concert on specific efforts to curtail the campus waste stream, improve storm-water runoff, or design a more efficient building HVAC system. The handful of institutions highlighted in this article share their unique spin on crafting such initiatives, with one overarching theme: Strong campuswide collaboration is required to make these ventures meaningful for students and of value to the institution. The University of Connecticut, Storrs, launched its learning communities program in part to assist incoming students with their transition to college. Efforts began in 1999 to place students in smaller cohorts with opportunities that would help them grow intellectually and socially, and enhance their connection to the institution, explains David Ouimette, executive director of UConn’s first year programs and learning communities. In 2008, a more concerted focus was placed on expanding and formalizing those opportunities. Program shape. “What we have developed over time is in response to the question of how to create a learning environment that provides students with elements of what a research university is like at the earliest opportunity, with access to undergraduate research, service learning experiences, and internships,” says Ouimette. University leaders also wanted to capture the small-campus feel of a liberal arts experience on a large research campus, adds Melissa Foreman, assistant director of UConn’s first year programs and learning communities. Funding to jumpstart these highly interactive, interdisciplinary communities was first focused in areas matching the university’s faculty expertise, including environmental studies, public health, global affairs, and innovation and entrepreneurship. The infusion of funding also allowed for the appointment of faculty member directors and graduate students to support each interdisciplinary learning community. Program scope. 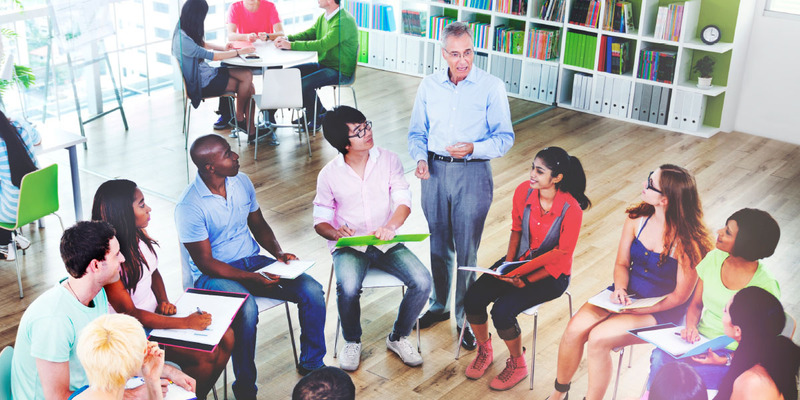 Each learning community—open to first-year and some second-year students—has evolved over time based largely on what each cohort chooses to focus on during the course of the year, explains Foreman. The program includes a mix of academic and service learning requirements. For instance, every learning community student is required to take a one-credit class each semester tied to the focus of the particular community, and students in some communities fulfill a one-credit service learning component of up to 30 hours per semester in related activities. As one example, a recent course for EcoHouse students focused on helping them learn to write grants for environmental programs. Service learning activities have included assisting with the university’s green game days and working within the local area to build community gardens. Tailored learning. EcoHouse, one of about 30 UConn learning communities, was also one of the earliest, launching in the fall of 2009. Among the projects that have emerged from EcoHouse participation over the years are a rain garden, a reclaimed water facility, and numerous storm-water features, including green roofs, bio-retention basins, and permeable asphalt, notes Foreman. In part because of the success and popularity of EcoHouse, a spin-off community—Spring Valley Student Farm—launched six years ago. The farm, located about four miles from the main campus, can accommodate 11 student residents, typically third- and fourth-year students, whose service learning requirement includes growing organic produce and herbs used by UConn’s dining services. More than 3,000 pounds of food is produced on the farm annually and has helped the university achieve its move to green certification of its dining services, says Foreman. Togetherness. As a testament to the importance of learning communities for the university, a new residence hall opened in August 2016, designed specifically to enhance and enrich the experiences of learning community students. The new hall currently houses eight faculty-led communities, including EcoHouse, WiMSE House (women in math, science, and engineering), Public Health House, Innovation House, and Engineering House. Most learning communities span an entire floor that includes study lounges and other community and work spaces. The first floor and basement of the hall include gathering spaces specific to each learning community as well as multifunction spaces and work spaces to allow all students to come together for joint events and to collaborate on projects, says Foreman. Tech-enabled experimentation. In fact, a primary component for all UConn learning communities is an emphasis on innovation and creativity. A 1,500-square-foot makerspace, the Learning Community Innovation Zone, houses heavy equipment and tools—including 3D printers, and laser and vinyl cutters—that all learning community students can use after completing a safety training. As an emerging trend on more campuses, makerspaces encourage design, development, and testing of ideas, explains Foreman. 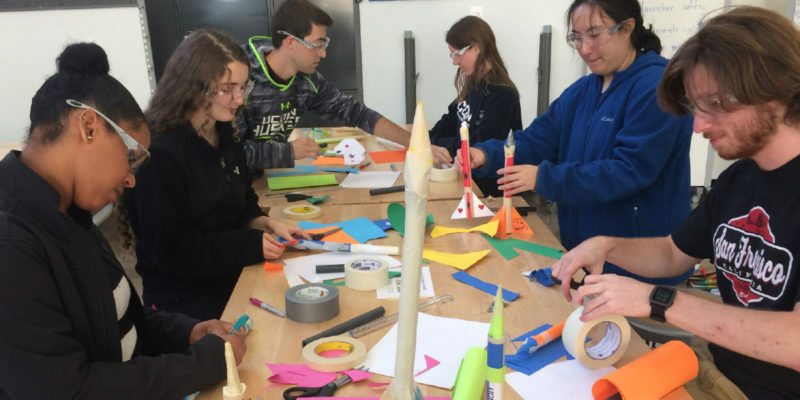 Students built and launched paper rockets in the first workshop held in the Learning Community Innovation Zone makerspace. “Giving all students an introduction to problem solving centered on use of cutting-edge technology is important for success in every discipline,” says Foreman. One example for EcoHouse students has been the collaboration with a senior engineering student to develop a prototype for a hydroponic garden project now being tested at the Spring Valley Student Farm. No pain, no gain. UConn’s success in building its learning communities program hasn’t come without a lot of hard work and dogged determination, confesses Ouimette. The process has required lots of buy-in and participation, from faculty in particular. Likewise, the university’s registrar’s office, admissions, and student affairs must be on board to assist with course registration and service learning requirements, notes Ouimette. The payoff. Participation in UConn’s learning communities program has blossomed over time, says Foreman. In fact, the number of applicants has risen significantly since 2009 to the point that some communities have wait lists. Currently, about 40 percent of the incoming freshman class for 2017 is enrolled in a learning community. That equates to more than 1,500 first-year students, says Foreman. And that figure is on par with the previous year, when more than 2,700 participated in a learning community, after factoring in sophomores and student leaders as well as 1,500-plus incoming freshmen, she adds. With a strong and proven program in place, Ouimette and Foreman are now leading the charge to review the ongoing viability of each learning community. “To this point we’ve been good at adding communities,” says Ouimette. The latest addition was the creation of Transfer Connections House in 2016, based on the approximately 800 students per semester who transfer to the university, as well as ScHOLA2RS House, which focuses on the experience of black males in higher education. In addition to surveying students about their experiences, Ouimette suggests his office must now determine a better way of accumulating the quantitative and qualitative results associated with each learning community. Yet, as one in a range of initiatives that UConn is deploying to engage students early on and attend to the interests and needs of different groups of students, the learning communities would seem to be a resounding success factor in boosting overall retention of students. During the past decade, freshman retention rates have risen from the mid–80 percent range to between 92 and 94 percent, notes Ouimette. Amid growing concerns about curtailing future energy costs, the skills to ensure that facilities operate at maximum efficiency are in high demand. Graduates of the Building Automation Systems Technician degree program at Georgia Piedmont Technical College (GPTC), Clarkston, Ga., enter the workforce with capabilities to install, design, service, and troubleshoot complex control systems that encompass lighting, heating, air conditioning, boilers, chillers, fans, elevators, and other component parts of the building infrastructure. This model cross-disciplinary program not only attracts students to GPTC, but also draws leaders and faculty from other institutions around the country to tour the college’s lab facilities to see how they might replicate a similar program at their campuses, says Keith Sagers, GPTC’s chief operating officer. Problem seen, problem solved. The program formally launched in 2009, but the catalyst for it came several years prior. In 2008, the college instituted a green curriculum centered on its industrial and commercial refrigeration, and HVAC systems programming. An integrated focus on whole-building automation systems emerged when students and instructors reviewed a series of building systems on GPTC’s campus that were running inefficiently and recognized an opportunity for the college to save money on upgrading and retrofitting these systems. 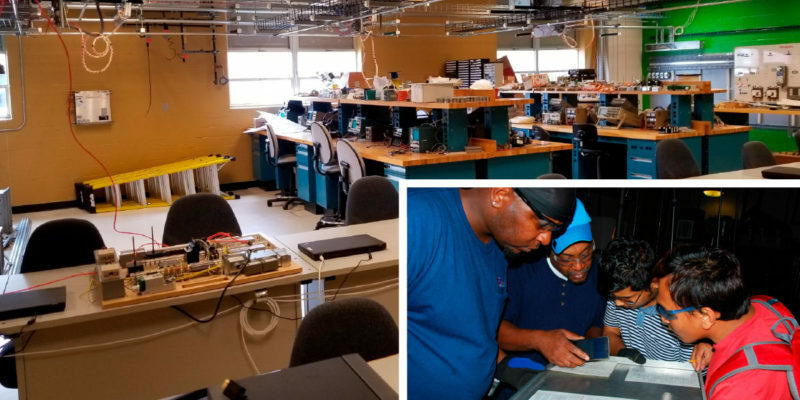 That exercise gave rise to hands-on learning opportunities for students and became the springboard for GPTC’s building automation systems program. Georgia Piedmont’s state-of-the-art building automation lab provides an ideal setting for students to gain hands-on experience with the full range of building control systems. (Inset) Students identify the gas furnace components on a wiring diagram. Outcomes identified. Instructors and facilities staff worked together to develop the concept for a living laboratory for students and fleshed out program components, including learning outcomes and deliverables. The lab would provide hands-on, applied learning opportunities for addressing building system challenges from a holistic framework and with a special focus on energy efficiency. As part of the program, students learn firsthand how to calculate energy load, develop proposals for energy conservation, implement sustainable technologies, draft business plans, and calculate the return on investment of various efficiency measures, notes Sagers. Many GPTC building automation systems students intern with an energy services company during the course of their studies. Solutions applied. The joint collaboration also required agreement on operational funding by the president and vice president of academic affairs. While the lab itself was a big investment, much of the equipment and installation labor was donated by industry partners eager to support a state-of-the-art program that would produce a pipeline of skilled graduates, says Sagers. And, GPTC likewise directly benefits from students documenting potential energy and utility savings of building systems across the campus. “One of the biggest cost-saving experiments to come through the lab was a focus on LED lighting that cut utility costs by 60 percent. Those are the kind of proven efficiencies that, once tested in the lab, we have full confidence rolling out campuswide,” says Sagers. A driving force behind the living lab program at Portland State University, Portland, Ore., was a desire to develop a bridge between operations and academics to engage students in tangible learning initiatives that also yield campus improvements, explains Molly Bressers, program development coordinator for PSU’s campus sustainability office. Project ideas are vetted according to what is meaningful for students and what helps achieve PSU’s sustainability and climate action plan goals, says Bressers. Engaging any and all students. In addition to working with first-year students, the living lab program coordinates projects with interns, with seniors as part of their capstone coursework, and with graduate students whose research intersects campus sustainability priorities. 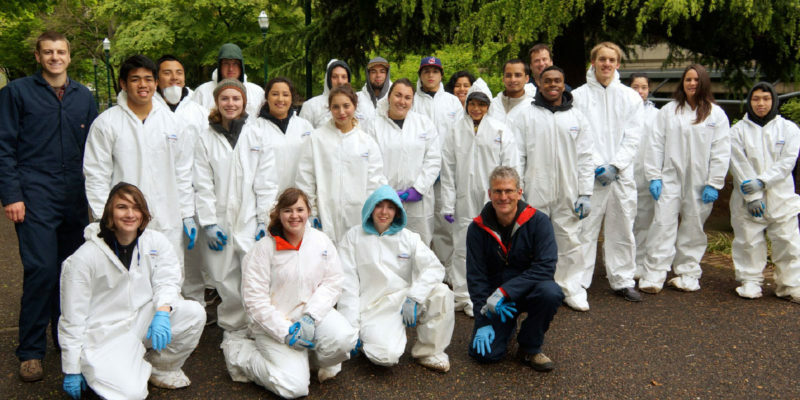 Samuel Groshong (far left) first participated in Portland State University’s Waste Audit Living Lab Experience before becoming a WALL-E intern. In that capacity, he has engaged more than 500 PSU freshmen in taking part in hands-on waste audits and waste-reduction research to identify ways to improve campus waste streams. For instance, one group of engineering students is currently undertaking the preliminary research and design decisions for a new HVAC system for a science building on campus, which would allow facilities staff to take the building off the district loop and increase efficiency in the system, notes Megan Schneider, facilities and property management education coordinator. Other groups are redesigning portions of the campus landscape to include a rain garden and a covered structure for storing mulch. Another group of students and faculty plans to build a rammed earth wall to research the viability of this construction material and method in the Pacific Northwest, notes Schneider. Various initiatives have already yielded significant benefits for the 50-acre campus of 30,000 students. Tracking trees. PSU’s campus tree inventory is another example of how the living lab program has advanced the university’s sustainability agenda. Even as an urban campus, the university has a sizeable portfolio of trees, says McNamara. Through a capstone course on GIS (geographic information system) mapping, students helped identify the health of individual trees, flagging areas of opportunity for future plantings. All this has helped inform PSU’s campus tree care plan, allowing staff to fine-tune strategies for managing the institution’s urban canopy, says McNamara. Improving process and participation. PSU’s living lab leadership team is also working to improve its processes for vetting proposals to determine a realistic time frame for accomplishing a specific project, identifying the sustainability components and desired outcomes of a project, and securing the necessary funding, says McNamara. On a programmatic level, the team is still working on an evaluation process for participants—students, faculty, and staff—to determine the value of the experience and the effectiveness of the outcomes. Some faculty members have been eager participants from the start to incorporate projects within the curriculum that align with campus sustainability goals, says Bressers. These faculty members tend to be recurring partners who are interested in identifying student learning opportunities that also benefit campus operations. “Our long-term goal would be for many more faculty in diverse disciplines to consider what kind of student research and activity could advance PSU’s sustainability goals,” says Bressers. The President’s Committee on Campus Sustainability at Ramapo College of New Jersey, Mahwah, was created in part to advance a more intentional culture surrounding concern for the planet among students, faculty, and staff, says committee chair Ashwani Vasishth, associate professor and director of the college’s Center for Sustainability. One outgrowth of this collaborative focus is the college’s Sustainable Living and Eco-stewardship (SLE) program. Open to sophomores, juniors, and seniors, the SLE program provides students with learning opportunities for how to grow their own food, compost, and reduce daily energy and water consumption. It also develops and nurtures a steady supply of student leadership to engage other students in campus sustainability activities and concerns, says Vasishth. 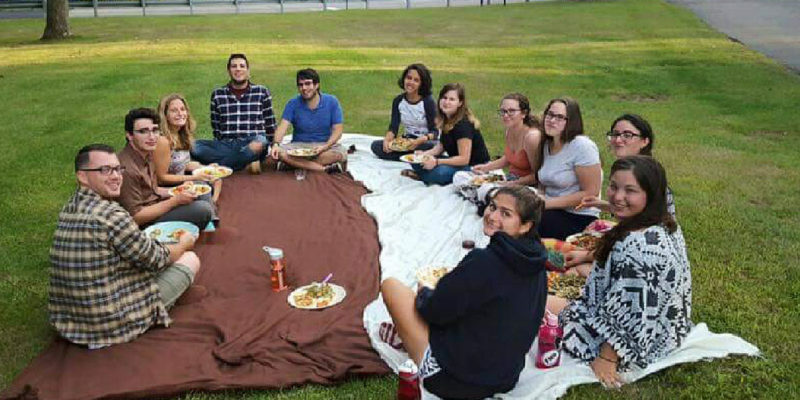 Ramapo College Sustainable Living and Eco-stewardship program participants enjoy a meal together. Behavior modification. The program has required a strong partnership among faculty, and facilities and residential life staff in particular, says Sanghamitra Padhy, associate professor of law and society, and SLE program faculty coordinator. While eco-housing takes different forms on different campuses, at Ramapo College, SLE students don’t live in a green building per se. Rather, they live together as a community committed to modeling lifestyle practices that minimize environmental impacts, explains Padhy. “There are no special course requirements, but students are expected to fulfill a service learning component of time spent gardening, composting, and promoting sustainability on campus.” To that end, SLE students also collaborate with other groups, including several student organizations like Ramapo’s environmental, bee-keeping, and vegan clubs, adds Padhy. The more, the merrier. Currently, three apartments on campus house about 14 SLE students, but there is no limit to the number of students who can be involved in the program, explains Linda Diaz, director of residence life. Her staff works directly with facilities staff to provide the number of apartments needed to accommodate students who are accepted for the program. There also is no term limit for participation. Some students who became involved in the SLE program as sophomores have remained participants through graduation. Rain and data collection. According to Michael Cunningham, director of facilities management, SLE-designated apartments are no different from other apartments on campus. For instance, all residences on campus have been fitted with low-flow faucets and showerheads. And, during the summer of 2017, meters will be installed in all residences to track energy consumption. 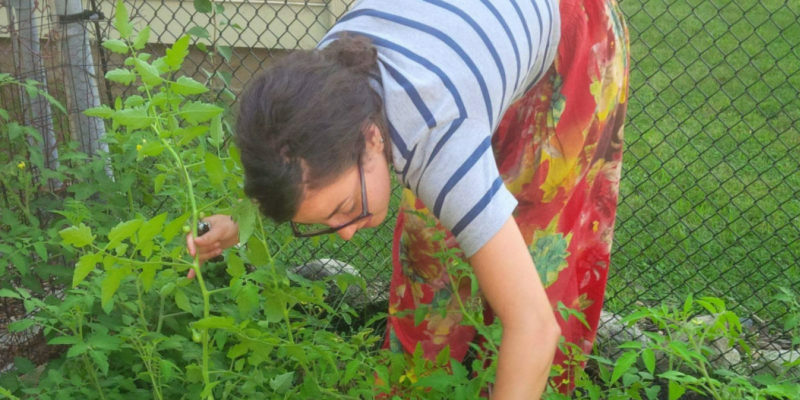 SLE students help tend to campus vegetable gardens as part of their sustainable living commitment. The energy meter installations throughout the campus will not only accommodate a planned energy competition this coming fall, but will also help the college accumulate the data necessary to measure energy use and monitor carbon impacts in pursuit of the institution’s sustainability and climate goals, notes Kirsten DaSilva, vice president of administration and finance. The idea for the EcoHouse at Macalester College, St. 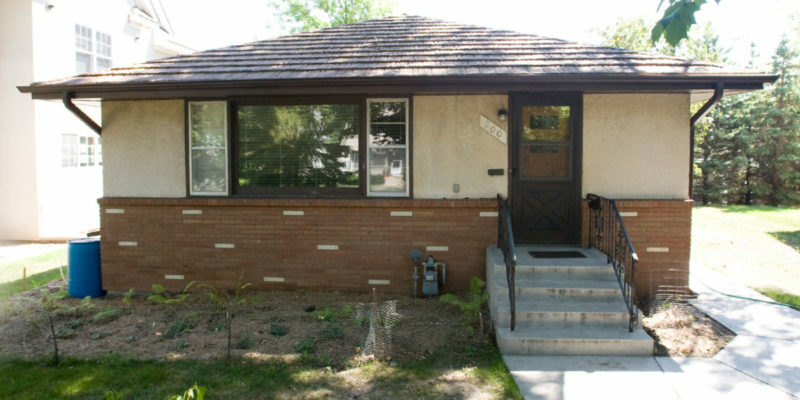 Paul., Minn., emerged 10 years ago when faculty in the environmental studies department suggested taking one house, in a row of 1950s-era homes purchased by the college, and turning it into a demonstration home for students to test a variety of sustainability solutions. Prior to students moving in, the house underwent significant renovations, including the installation of a domestic solar hot water system, a recyclable steel roof, wall insulation, and high-efficiency appliances. Since 2007, student residents have been making modifications to EcoHouse—from testing the R value (resistance to heat conduction) of window film, to hanging insulating curtains—and documenting the results of their experiments for those who follow them. The house is also equipped with an energy monitoring system for testing the efficiency and cost-effectiveness of various renovations and technologies and to provide empirical data on the performance of various house systems, says Nathan Lief, director of facilities services. The Macalester College EcoHouse provides students opportunities to test a variety of efficiency measures on an older home, like hanging insulating bedroom curtains. Personal, social, academic growth. On a personal level, EcoHouse students are also able to monitor in real time their energy and water consumption to help them make informed decisions about the best times to do laundry or take a shower, for instance, explains Christie Manning, visiting assistant professor, department of environmental studies and department of psychology, and associate director, Educating Sustainability Ambassadors. On a social level, EcoHouse students generally cook together and determine their own communal meal routines and house responsibilities. To ensure a successful experience for students, faculty work directly with facilities and residential life staff to make sure that the students have what they need to carry out their experiments. Within the next several years, Manning hopes to formalize some of the student learning outcomes, including making EcoHouse more of a campus hub where students interested in sustainable living can tour the house. In fact, the incoming group of EcoHouse residents for the 2017–18 academic year are interested in exploring the house as a venue for sustainability activism, notes Manning. Normalizing new habits. “The impact on students has been incredible. Most report loving the opportunity to live in EcoHouse and appreciate the features of a home where they can compost, where some portion of their water is heated by the sun, and where they are closely attuned to the energy they consume. This is really about learning to live differently,” says Manning. Many colleges and universities already have sustainability-focused living lab programs in effect or in the works. For those that don’t, two resources in particular can be of tremendous help with thinking through the parameters and the logistics. The Association for the Advancement of Sustainability in Higher Education (AASHE)—900-plus members strong—has published A Guide for Applied Sustainability Learning Projects: Advancing Sustainability Outcomes on Campus and in the Community. The guide was written and developed by Fletcher Beaudoin, assistant director, Institute for Sustainable Solutions, Portland State University, and Katja Brundiers, community-university liaison, School of Sustainability, Arizona State University. This resource provides specific activities for laying the groundwork for your program, developing a sustainability pedagogy, fostering program connections, and overcoming cultural and administrative barriers. Worksheets are included for developing your program and crystalizing your strategy. The Campus as a Living Laboratory: Using the Built Environment to Revitalize College Education is published by the SEED (Sustainability Education and Economic Development) Center, a program of the American Association of Community Colleges. The SEED Center is composed of more than 480 member institutions. While this guide was developed specifically for community colleges, it has wide applicability for all higher education institutions. It details eight essential elements for developing a living lab program, based on collaborative efforts between academics and campus facilities management to provide hands-on, real-world learning experiences for students that also contribute to an institution’s sustainability agenda.